Carbon Combat Testing: Major Update #2 - Team vs. Team Battles! Major Update #2 - Team vs. Team Battles! Hello everyone! 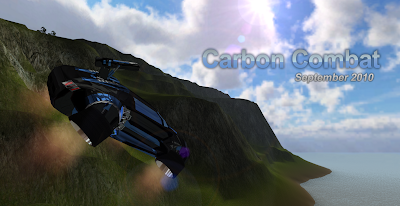 I am proud to announce Carbon Combat version 1.4.0. This version includes a lot of things promised in the previous "major update" and much, much more. The largest feature is the Team vs. Team battles that I just created. This is the first version of the team battles, so I'm still adding more features onto it (such as a list of who is on what team on startup). Below is a version change-log and the newest installment of my "Carbon Combat Promotional Poster". Enjoy! [Edit] If you decide to test Carbon Combat independently and encounter a bug, be sure to use my new Bug Reporter form! You can access it in the game by clicking the "report bug" button in the main menu. Here is the latest Carbon Combat promo poster that I made (click to enlarge). Enjoy!